It has been reported that there are over 600 active trademarks from 450 companies that have an Indian mascot or use Indian imagery in their branding. Some of these trademarks are used by Indian-owned entities, but the majority of them are not. The trademarks span the range of goods, including clothing, food, cigarettes and tobacco, alcoholic beverages, and paper products (see, e.g, Land O’Lakes, American Spirit, Hawaiian Airlines). They also include sports teams like the Atlanta Braves, Chicago Blackhawks, Cleveland Indians, Washington Redsk*ns, Florida State University Seminoles, Springfield Indians (hockey), and the Kansas City Chiefs. These trademarks and products that use Native imagery do not include the innumerable instances of Indian caricatures or other imagery used in advertising campaigns, both in the past and now. In fact, many of the products or brands have nothing to do with Native Americans, which begs the question; why does a company choose to use Indian imagery in its branding or advertising in the first place? These representations of Indians in advertising are often based on racist stereotypes that draw on and mix the perceived characteristics or practices of a small handful of tribes. These uses further perpetuate the stereotypes of Indians or cartoonish images and fail to allow representation of the true diversity of the Native community. You don’t see Indian teachers on products, or accountants or future lawyers. There are over 566 tribes in the U.S. alone, but because of images in branding and advertising, Native peoples are only seen as figures of the past who wear headdresses (war bonnets) or feathers in their hair, wield tomahawks, and live in tipis. If we don’t look this way, our identity as a Native person is often questioned or disbelieved. Because non-Indians are not exposed to the diversity of faces, lifestyles, and cultures of Native peoples, many of us are deemed “not Indian enough” because we don’t “look Indian,” meaning we don’t look like these stereotyped caricatures of Indians. This is harmful to a Native identity and image in the US that has already been romanticized and exploited for the past 200 years. It is time for non-Indian businesses to rethink utilizing Indian imagery in their branding and advertising. The San Diego County Fair, opening June 2 and running through July 4, 2017, will feature Lawrence Baca speaking on “Not All Indians Are Chiefs: Native Americans in Advertising” each Saturday during the Fair at 2:00 p.m. 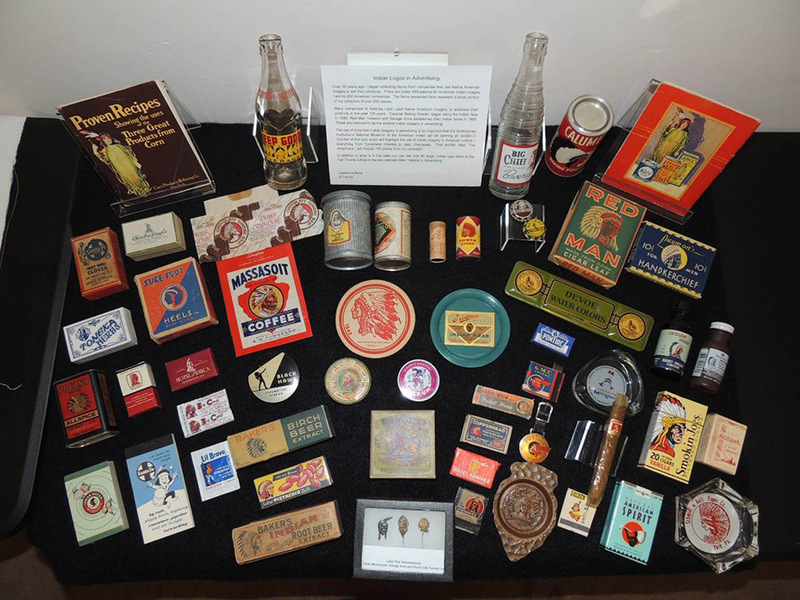 There will also be exhibits by Mr. Baca and the Kumeyaay Cultural Committee, located in the Activity Hall, displaying current and historical pieces of Indians used in advertising and Kumeyaay history, respectively. An additional Exhibit from Mr. Baca is located in the Fair “Hobby Show.” Procopio is proud to sponsor Mr. Baca’s Exhibits. For Exhibit location, see Building 6, here. This is a great opportunity for people to better understand “what the big deal is” with using Indians for product mascots. If you can’t make it to the Fair this year, find out more about Indians in advertising here and Indians as sports mascots here. See our previous posts on issues of cultural appropriation and misrepresentation here, here, here, and here. Karli Sultzbaugh is a member of the Pechanga Band of Luiseño Mission Indians and a rising 3L at the University of California, Los Angeles School of Law. She is the outgoing president of UCLA’s Native American Law Students Association as well as an editor of the Indigenous Peoples’ Journal of Law Culture and Resistance and the Journal of Environmental Law and Policy. Karli is a recipient of the 2017 Procopio Native American Internship.